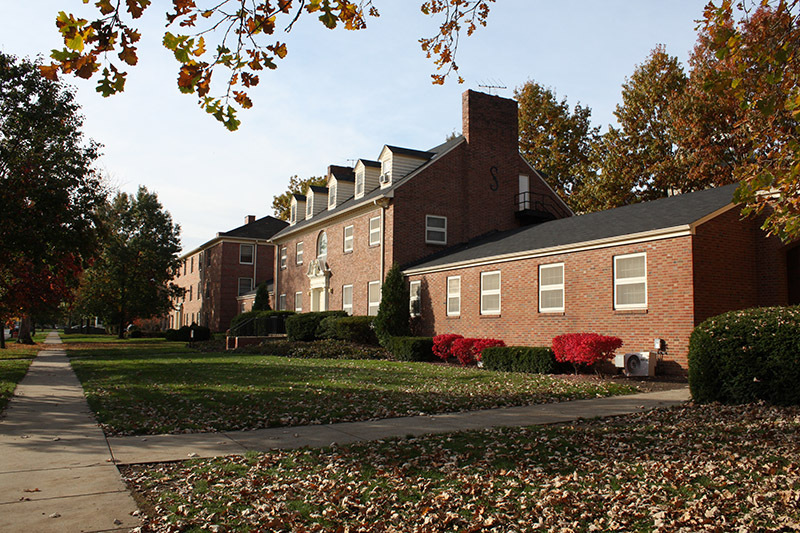 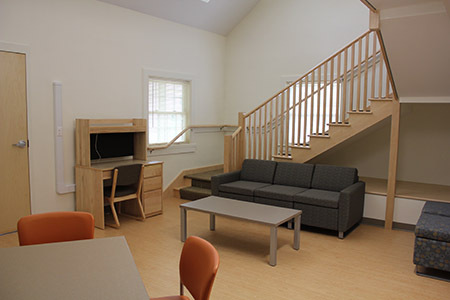 Three connected, historic, inaccessible residence halls with small, traditional dorm rooms and community bathrooms were converted to suite-style units with private bathrooms while maintaining historic lobbies, corridors and stairs. 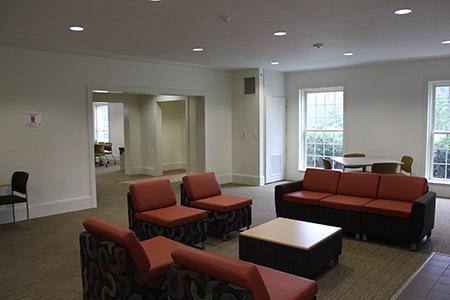 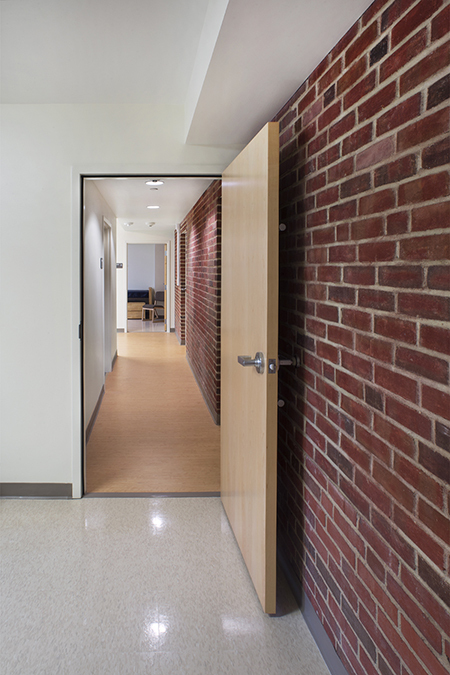 Floor plans were reconfigured within the existing buildings while the additions provided expansion space. 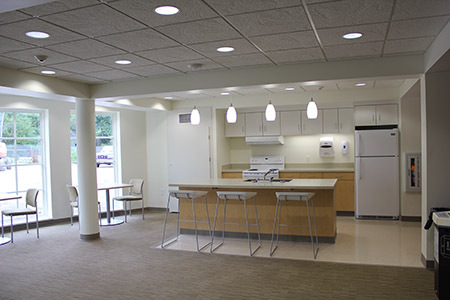 Each building now has a community kitchen, meeting and amenity space, and new elevators make the complex fully accessible. 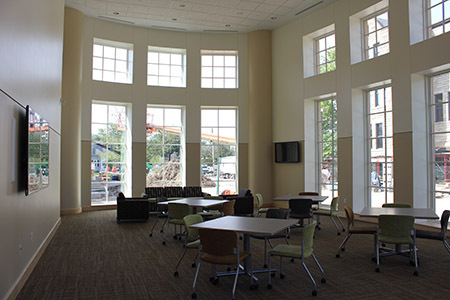 All MEP systems were replaced including the introduction of air conditioning.